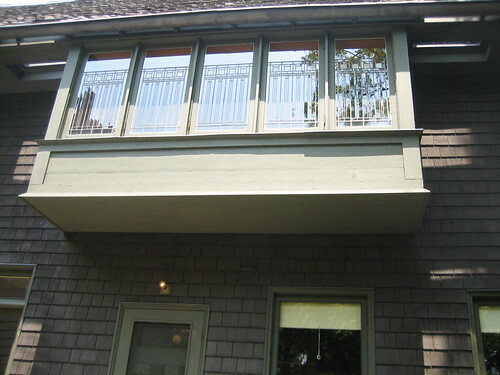 Posted by dr. gonzo in Architecture, Frank Lloyd Wright, Houses, National Historic Landmarks. Making our way from Unity Temple we come to a neighborhood off Chicago Avenue that is dominated by architectural marvels. Sprinkled throughout a smattering of Queen Anne and Italianate homes are several of Frank Lloyd Wright’s Prairie masterpieces. Before you get to those, though, you notice a sprawling Shingle Style house (Shingle style is basically a classification of Queen Anne style) that appears to have been built at different times. 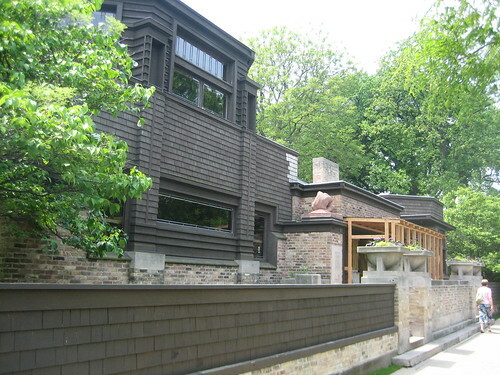 The large brown house is known as the Frank Lloyd Wright Home and Studio and it was the location of his early 20th century Oak Park firm. Though the building is clearly not a Prairie style building, the influence is obvious, especially on the Chicago Avenue facing facade where the library and studio are located. Wright designed and had the house built in 1889, via a loan from his then-employer architect Louis Sullivan. In the coming days, we will see how this loan has led to an interesting scholarly contradict about the relationship of Wright and Sullivan. Wright made major additions and renovations in 1895, and in 1898, which was when the Studio and its connecting corridor was added. The 1898 area, in my opinion, was one of the most amazing parts of the interior; an interior which throughout doesn’t necessarily reflect the historical roots of the exterior style. From 1909 on Wright’s studio was no longer located in the house, the studio becoming a residence for his first wife and younger children. 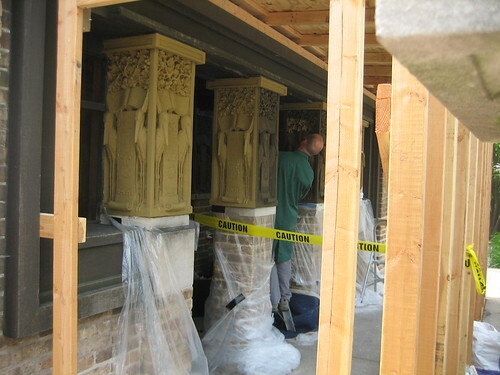 Later, it was converted into an apartment building until the National Trust for Historic Preservation acquired the property in 1974 and began an intense restoration. Today, the home and studio is restored to its 1909 appearance, and operated as a museum by the Frank Lloyd Wright Preservation Trust. If you have the time and means, I highly recommend you take the tour, current rates are available on the Preservation Trust’s website. 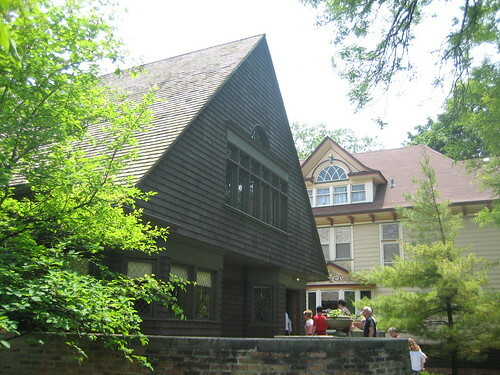 The Frank Lloyd Wright Home and Studio was added to the National Register of Historic Places in 1972. In 1976, the U.S. Department of the Interior declared the home and studio a National Historic Landmark. Detailed information can be found in the various links provided below. has anyone read the book “Loving Frank”? YOU MUST! !